During the season it’s easy to get involved. With a Qualifier happening every week, there’s an endless supply of content and interest. 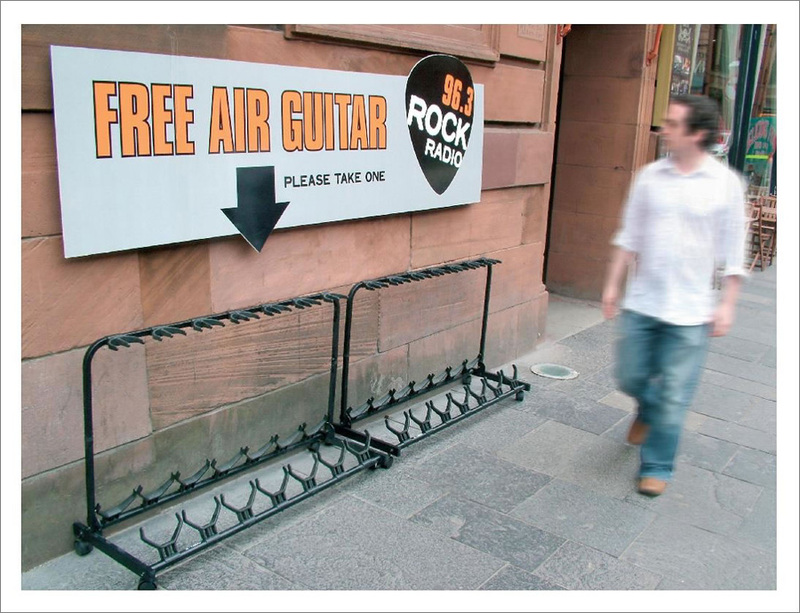 Be it pictures and videos, guest posts and blog recaps, or the “Free Air Guitar!” picture we’ve been sent 100 times by friends and family, you’re guaranteed a good laugh on a daily basis if you internet enough. It’s the off-season where it's tough to stay in touch or to keep up with any good content. Competitions are closed and we’ve crowned a new champion, so what are we to do? Photoshop. And lots of it. And the list goes on (see below!). Being an air guitarist already requires you to lose a little dignity, and I think we can all agree that we don't take ourselves too seriously. Photoshop Season amplifies our already ridiculous alter-egos into a whole new world and keeps us that much closer when there's little air guitar in action. So if you see a photo that looks like it has some potential, let us know! Or perhaps if you're caught on camera someday, you could be next. Without further ado, I present to you the remaining Photoshops in the Nordic Thunder Series. Wanna play along? Use the original image we posted above, or download this image without a background and send us your own creations! Email your image to eric@airnestprod.com or post them to our Facebook wall and we'll post them here to pick a winner for an AGWC prize. Rock hard, and Photoshop on!